You're not the type of skier to stick within the confines of groomed terrain, and you're certainly not the type of skier to let your ski hold you back from exploring, which makes the Fischer Men's Ranger 102 FR Ski a great choice for ripping the whole mountain. The 102 millimeter waist is enough to keep you afloat when the storm delivers, but won't leave you feeling like you have too much ski when there's a dry spell and you're relegated to groomer laps. Rocker in the tip and tail deliver an easy maneuverability and add improved float when the going gets deep, while underfoot camber gives you confidence and grip on firm patches. 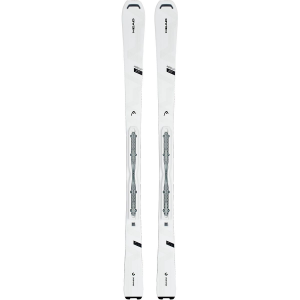 The Ranger is equipped with twin tips just in case you feel inspired and want to hone in your tricks off of backside cliffs, and the lightweight wood core with added Titanal makes sure the ski stays damp and stable as you open up your speed. A carbon laminate and carbon inlay in the shovel adds strength to the ride for better control and power, meaning you can zoom through any conditions the mountain throws at you in search of leftover fresh and visionary lines.